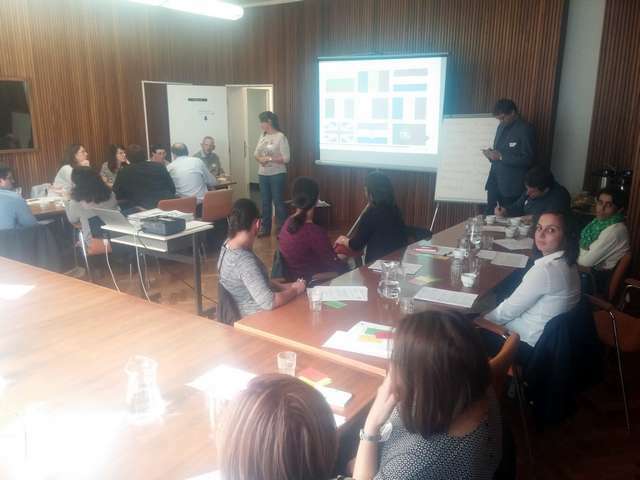 During 25-28 of September, Eli and Andreea went to Brussels for a training course organized by Inclusion Europe. 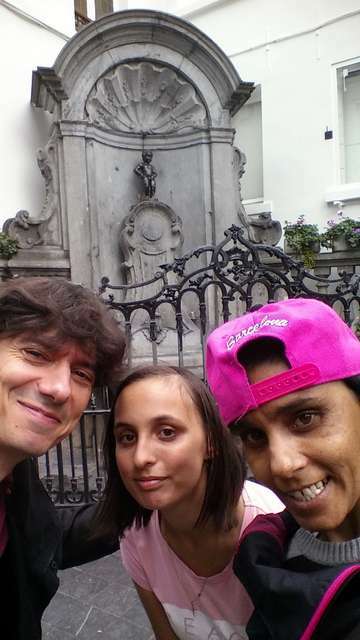 Together with our support person we arrived safely to Brussels. 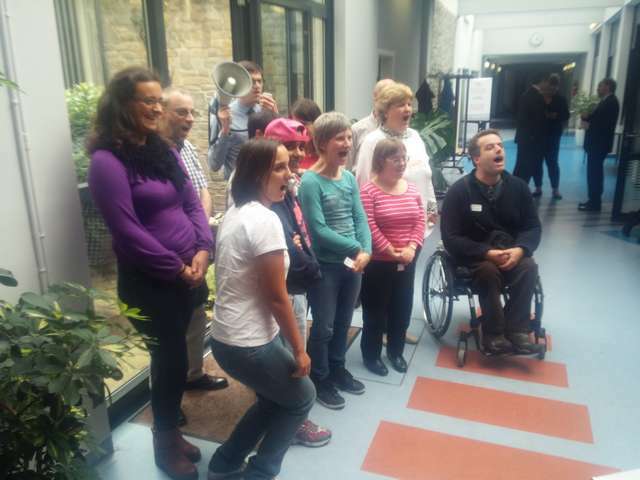 There we met the director of Inclusion Europe and other self-advocates from several countries. On the first day we met with other self-advocates. Then the director of Inclusion Europe, Milan, explained us which are the main institutions in the EU. The theme of the training was stopping violence against women with disabilities. 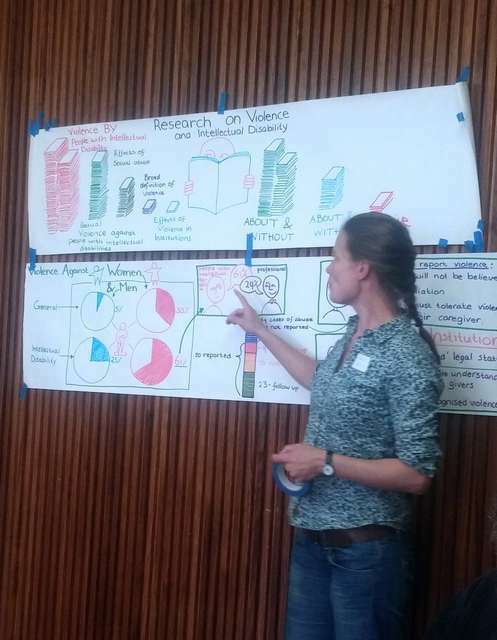 Juuultje from Netherlands presented a study on violence against women with disabilities in residential institutions. Every week 50 women in the European Union die because of their husbands’ violence. Violence against women with disabilities is three times higher. Violence against women with disabilities living in residential institutions is two times higher than in the community. Violence can be at different types: Physical violence, sexual violence, verbal violence, psychical violence, etc. On the second day we worked in teams of 4 and prepared the meeting with the members of the European Parliament. We worked with Maureen, the president of Inclusion Europe. After we finished we had dinner with Senada who is self-advocate from Croatia and with Maureen, president of Inclusion Europe. We discussed how to work better more efficient with Sara, who is representing us in Inclusion International. 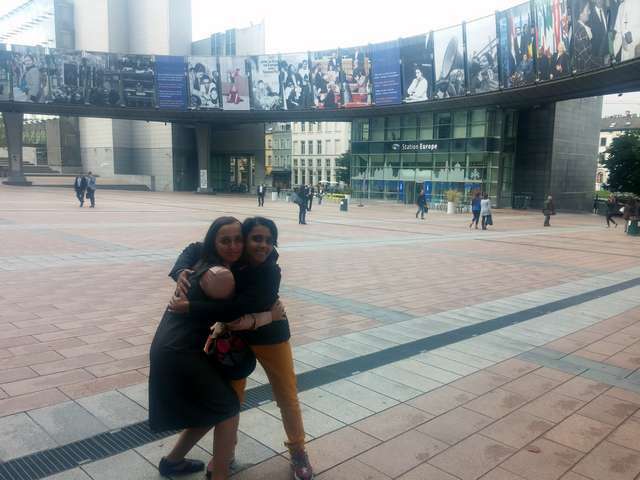 On the 3 day we went to the European Parliament to meet with Mrs. Maria Grapini, Member of the European Parliament. We were invited to her office and talked about guardianship, violence against women with disabilities, life in residential institutions and deinstitutionalization. We had half an hour to discuss these important issues. Mrs. Grapini gave us a painting and a badge with the flags of Romania and the European Union. She promised to support us in accessibility, deinstitutionalization and guardianship. Now we have to meet her in Timisoara and work together. After the meeting, we all gathered at Inclusion Europe and told each team how the meeting was at the European Parliament. Then we went to our homes. We also visited the city because Andreea was for the first time in this city and had her first airplane flight. Andreea was very nervous but she managed well. We hope Mrs. Grapini will keep her promises and will support us in our work to improve the quality life of persons with disabilities.